A field is being searched by police probing a potential link to the disappearance of a mother of four missing since 2002. Linda Razzell was last seen on her way to work in Swindon. The 41-year-old's body has never been found but her husband, Glyn, was sentenced to life for her murder. Wiltshire Police said it was acting on a tip-off from the public and it was "keeping an open mind" as to whether it relates to Mrs Razzell's murder. Sniffer dogs are at the site near Pentylands Lane in Highworth and a forensics tent has been erected. A force spokesman added: "People in the local area are likely to see an increased police presence in this area over the weekend." 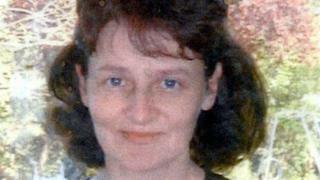 Mrs Razzell went missing in 2002 after setting off from her Highworth home to work at Swindon College. Despite her body never being found, her husband Glyn was jailed for life in 2003, a conviction he failed to overturn in 2005. He claimed DNA evidence against him - drops of her blood found in the boot of a car he had access to - was unreliable. Former police detective Steve Fulcher later suggested double murderer Christopher Halliwell could have been involved with Mrs Razzell's disappearance. Halliwell was jailed in 2016 for the 2003 murder of Becky Godden, having already been convicted of killing Sian O'Callaghan in 2011.